Here's a better look at the Reading Railroad Company Freight Station. (The only track that remains today is the one in the extreme-left of the photo.) 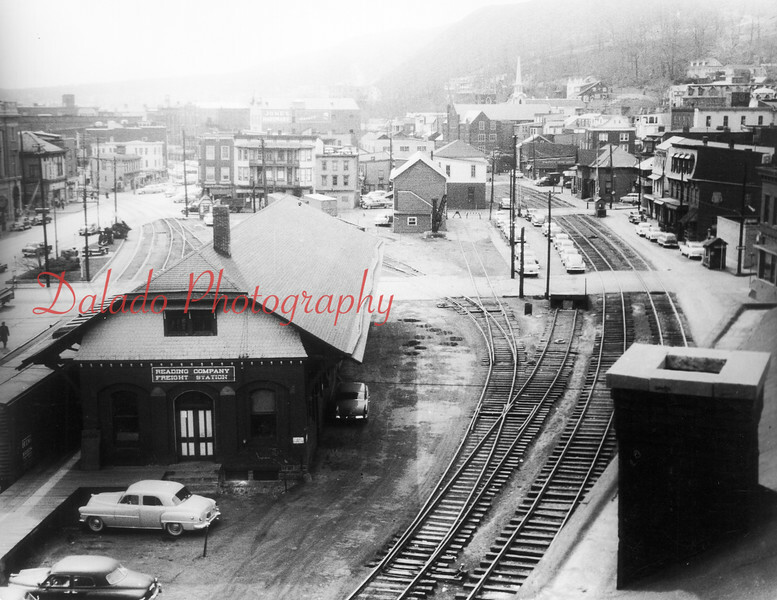 The two outside tracks are Pa. Railroad (PRR) Shamokin branch tracks. The Reading team tracks are to the left of the two PRR tracks and run west to Liberty Street.